Going from the trailer for Poltergeist I can't say I was excited to see this, it looked to be a run of the mill horror and seemed to echo the original 1982 Poltergeist film a little too much, I never see the point of remakes that do little to change up the formula. After being made redundant Eric Bowen and his wife Amy relocate their family (Kendra, Griffin, and Madison) to a new cheaper house but it isn't long before a whole host of strange things start to occur. At first just the youngest children notice these ghostly goings on but it isn't too long before everyone becomes apparent of them, and it is pretty hard to ignore the supernatural when forces have stolen away your daughter via a magical portal in a closet! Thinking the police would not believe what has happened the Bowens turn to a paranormal group from a local University, they in turn contact celebrity paranormal investigator Carrigan Burke (Jared Harris). 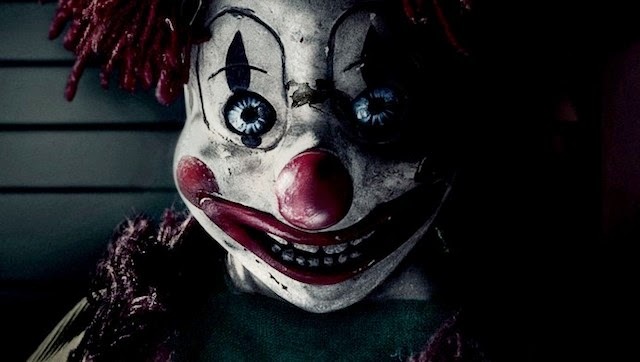 This is a horror film for people that don't like horror, I'm so used to the genre being full of misery and terror that to have something as relatively light hearted as this actually makes it stand out, I had quite a nostalgic hit watching this. 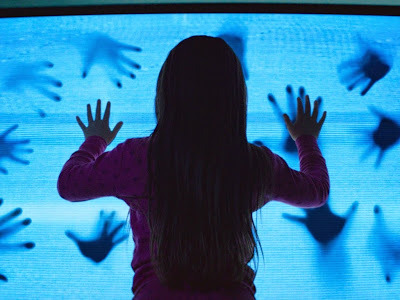 To begin with I got a sense of de-ja vu, it reminded me quite a bit of Paranormal Activity, while the whole spirit dimension aspect to the film was pretty much Insidious, but then I thought it wasn't so much this copying those, more that those films cribbed from the original Poltergeist. I have no idea why I never noticed that before with them. The family unit are ok, though all are not perfect characters, the parents don't have much to them other than Eric seems quite a bitter jerk. Of the children the youngest; Madison is actually the least annoying, eldest Kendra is a stereotypical angry teen, while the boy Griffin is super irritating due to him being terrified of absolutely everything even before the horror starts to happen. Maybe as a result of no character being too great Harris manages to steal every scene he is in, though he doesn't appear till the films final third his character is pretty awesome and has the funniest dialogue. There is a lot of humour throughout to keep things feeling safe and enjoyable rather than bleak and scary. Talking of scary Poltergeist certainly is not, aside from one scene involving evil clown dolls (their appearance in the house left a mystery) there is no horror here, more a series of exciting events, the special effects come into play with all the strange activity such as cracks in the walls appearing, a possessed tree and flying objects looking pretty decent. When truly disturbing things do happen it is usually just a hallucination such as a character being pinned to a wall as an electric drill pokes holes closer and closer to his face. This isn't a straight remake thankfully, it shares a heck of a lot in common with the original with barely anything changed, but is brought more into the modern day such as a drone being flown into the spirit dimension before any one physically enters it. The spirit dimension looks pretty cool, lots of corridors with zombie like ghouls growing out of them. While sharing so much in common with the original that there are no surprises at all it was still entertaining to see the slight differences, while the modern day special effects made it more fun to witness the madness. This is in no way a classic but it is enjoyable, and wasn't a bad way to kill an hour and a half. All the CGI in the world can't make up for the real special effects that made movies like "Poltergeist" not only groundbreaking, but a classic. 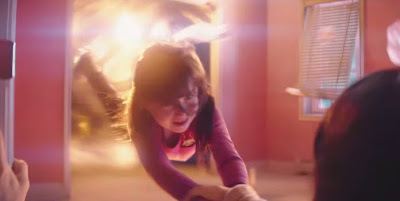 That is true, the original Poltergeist is certainly an iconic film that has inspired hundreds of films, this remake while enjoyable to me is never going to be a film remembered fondly.